This is the second time we've seen this little urchin girl. 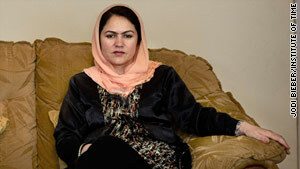 The first time I saw her was near the ruins of the bombed-out Darul-Aman Palace outside Kabul. Totally alone. Filthy. Bereft of everything. 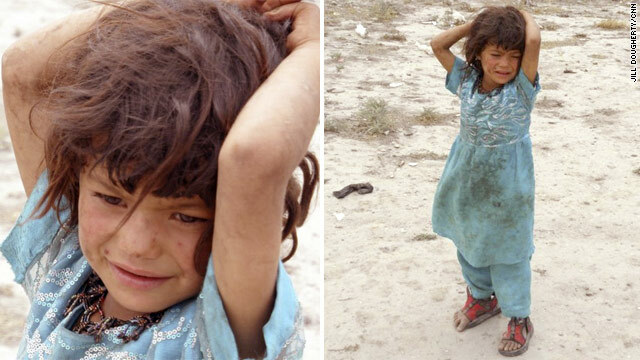 Sadly there are so many children like her on the streets of Kabul. 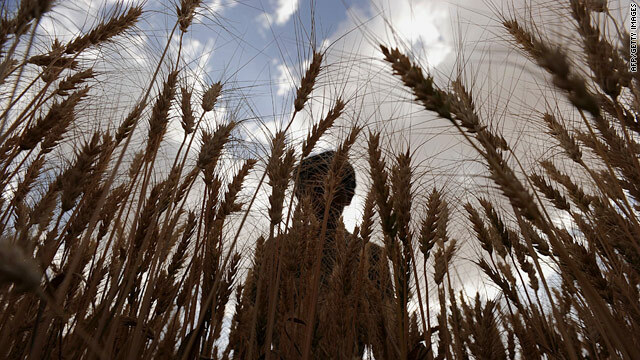 According to UNICEF, there are over 2 million orphans in Afghanistan and twenty-five percent of Afghan children die before reaching their fifth birthday. During a recent embed with Marines in Marjah, Afghanistan, photographer Mauricio Lima asked the men to share the stories behind their tattoos. She captured bulldogs, Arabic inscriptions, on-skin memorials and more. An Afghan girl herds her sheep in front of the Darul-Aman Palace outside Kabul. A massive monument built in the 1920s, the palace was left empty for years, before being successively destroyed by fire, turned into a museum, used as a defence ministry and shelled by the Mujahideen after the Soviets left. Now it is a spectacular vacant behemoth. A woman in a burqa and gloves sells gum on the streets of Kabul. Under Taliban rule women were not allowed to leave their homes without being escorted by a male relative and were required to wear a burqa which covered their bodies from head to toe. 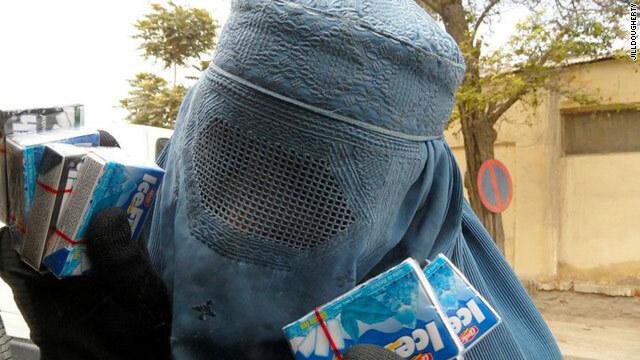 Though women have more freedom now than under Taliban rule, some still wear the burqa. TIME Magazine examines women in Afghanistan and how some have embraced the freedoms that have come from the defeat of the Taliban — and how they fear a Taliban revival. Fawzia Koofi, in photo at right, is one of those women. The former deputy speaker of Parliament, Koofi is very outspoken on women's issues. She is running again for a second term in parliament, but fears that new election rules may make it more difficult to succeed. She fears that outspoken women like her will be sidelined. Photographer Jodi Bieber meets the extraordinary women of a war-torn nation in a TIME Magazine photo essay. 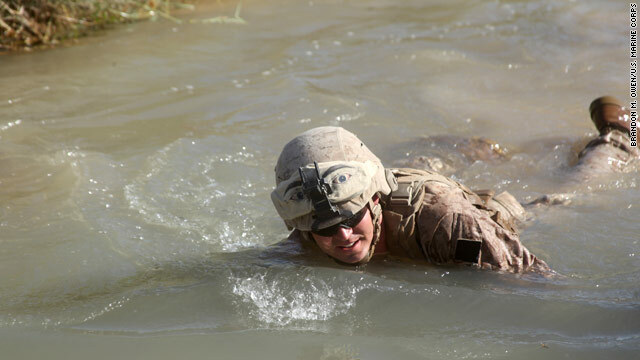 A U.S. Marine searches a canal for pieces of a damaged bridge in the Helmand province of Afghanistan earlier this month. The 9th Engineer Support Battalion, 1st Marine Logistics Group provides logistical support to coalition forces in as part of the International Security Assistance Force. U.S. soldiers from the 22nd Infantry Regiment Division at Fort Benning, Georgia, boarded a plane to Afghanistan from the U.S. transit center in Manas, Kyrgyzstan, on Friday. U.S. troops resumed full-scale use of the Kyrgyzstan transit center for Afghan war operations following a brief slowdown due to ethnic violence there. The transit center in Manas was opened in 2001, when U.S. military operations in Afghanistan began. Lahore's Data Darbar is one of the oldest Sunni Muslim shrines in Pakistan. The remains of a Sufi saint, Abul Hassan Ali Hajvery are kept there and followers believe he had the power to create miracles. The shrine is visited by thousands of worshipers hoping to be blessed.